Senegal is at about five hours flight from the European capitals with a one or two hour time difference and this makes it an ideal destination for a break of just a few days or up to two weeks. The sun shines all year round and the country enjoys an exceptional climate. 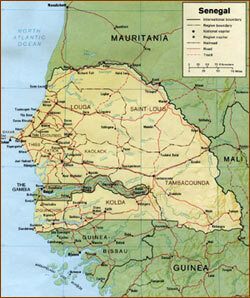 Senegal has a very varied and beautiful landscape ranging from baobab forests to sand dunes and long beachy coastlines. The local people are friendly and a true mix of many ethnic cultures.